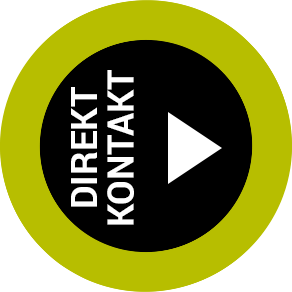 Publikationen und Literatur zu Grundlagen, Forschung und klinischer Anwendung von Magnesium und MAGNEZIX®. Magnesium (Mg) bioabsorbable screws are new biomaterials used in fracture fixation. In the current literature, there is only one case report on the use of magnesium bio-absorbable screws in ankle fractures. Within the present study, a 19-year-old female who sustained an isolated lateral malleolar fracture was treated with open reduction and intramedullary Mg screw fixation and then followed up for two years. Fracture union was achieved without any complication such as failure of fixation, loss of reduction, infection, or any other adverse reaction. Mg bioabsorbable screws are an alternative method of fracture fixation as compared to conventional metallic implants since they eliminate the need for implant removal. Objective: The purpose of this retrospective study was to compare the clinical and radiological results of magnesium versus titanium screw fixation for modified distal chevron osteotomy in hallux valgus (HV). Material and methods: A total of 31 patients who underwent modified distal chevron osteotomy for HV deformity between 2014 and 2017 were reviewed retrospectively. Headless magnesium (Mg) compression screw fixation was applied in 16 patients (17 feet) and headless titanium (Ti) compression screw in 15 patients (17 feet). Patients were followed up for at least 12 months with a mean of 19.0 ± 6.8 months in the Mg screw group and 16.2 ± 6.19 in the Ti screw group, respectively (p: 0.234). Clinical results were evaluated using the American Orthopedic Foot and Ankle Society Hallux metatarsophalangeal-interphalangeal (AOFAS-MTP-IP) scale and a visual analogue scale (VAS). The hallux valgus angle (HVA) and intermetatarsal angle (IMA) were measured before and after surgery. Time to osteotomy union and any complications were recorded and compared between the groups. Results: An improvement in the AOFAS-MTP-IP scale and VAS points were recorded in both groups with no statistically significant difference between the groups (p: 0.764 and 0.535, resp.). At the final follow-up examination, HVA and IMA were similar (p: 0.226 and 0.712, resp.). There was no significant loss of correction between the early and final radiographs in respect of HVA and IMA in both groups (p: 0.321 and p: 0.067). Full union of the osteotomy was obtained in all patients. Prolonged (1.5 months) swelling and mild hyperemia around the surgical incision were observed in 1 patient in the Mg group but there was a good response to physical and medical therapy, and the complaints were completely resolved. There were no other significant complications in either group. Conclusion: The results of this study showed that bioabsorbable Mg compression screw fixation has similar therapeutic efficacy to Ti screw fixation in respect of functional and radiological outcomes. Bioabsorbable Mg screw is an alternative fixation material that can be safely used for modified distal chevron osteotomy in HV surgery. The goal of this review is to bring to the attention of the readership of Magnesium Research another facet of the importance of magnesium, i.e. magnesium-based biomaterials. A concise history of biomaterials and magnesium are thus presented. In addition, historical and current, clinical magnesium-based applications are presented. Magnesium and magnesium-based alloys in biomaterial applications have shifted again into the focus of the biomedical industry. Thanks to the first CE mark approvals of magnesium-based implants interest will increase further, as the hurdles for approval by e.g. the FDA have been lowered. One important aspect is the understanding/improvement of the production processes of the materials, and their quality. The other, even more important aspect is a deeper understanding of the underlying biological cell and tissue mechanisms in the targeted tissues, which is a prerequisite for facilitating future regulatory applications. Therefore, it is of the utmost importance to establish the correlations between the biological, biochemical, mechanical and microstructural properties of magnesium-based implants. This demands a highly interdisciplinary approach, requiring specialist input from each discipline. Einleitung: Ein neuartiges Implantatmaterial zur Herstellung von resorbierbaren Implantaten stellen Magnesiumlegierungen dar. Es bestehen nur wenige Erfahrungen zum Verhalten dieser Implantate im MRT. Die Darstellung des Degradationsvorganges im Menschen mittels MRT ist bisher nicht erfolgt. Material und Methoden: Vier Patientinnen wurden nach Implantation einer absorbierbaren Magnesium (Mg)-Schraube nach distaler Metatarsale-I-Osteotomie mittels MRT nachuntersucht. Die Untersuchungen fanden nach 3, 6, 12 sowie 36 Monaten statt. Ergebnisse: In vivo zeigten sich weniger Suszeptibilitätsartefakte bei Verwendung von Magnesium Implantaten vergleichend zu Standardimplantaten aus Stahl- oder Titanlegierungen. Die Knochenheilung verlief zeitgerecht. Der Degradationsprozess des Implantates konnte dokumentiert werden. Es zeigte sich ein begleitendes Knochenödem, dieses stand jedoch in keiner Korrelation zu den klinischen und subjektiven Ergebnissen. Diskussion: In dieser ersten Studie zeigt sich die Degradation der Mg-Implantate, jedoch auch ein Knochenmarksödem. Weitere Studien und Vergleich mit einem Kollektiv mit Standardimplantaten sind notwendig, um eine abschließende Aussage treffen zu können. Hintergrund: Die Verwendung eines resorbierbaren Implantates kann die Notwendigkeit einer Reoperation zur Metallentfernung nach Vorfußeingriffen vermeiden helfen. Magnesium-Legierungen stellen ein neuartiges Material zur Herstellung von biodegradierbaren Implantaten dar. Material und Methoden: In einer prospektiven klinischen Studie wurden Patienten, die ein biodegradierbares Magnesium-Implantat an unserem Haus erhielten, prospektiv nachverfolgt. Im Studienzeitraum von August 2013 bis Februar 2015 wurden 22 Patienten mit distaler Metatarsale-1-Osteotomie bei milder bis mäßiger Hallux valgus-Deformität mit einer MAGNEZIX®-Schraube versorgt. Ergebnisse: Eine Patientin erlitt eine traumatische Dislokation der Osteotomie, alle anderen zeigten eine sichere knöcherne Heilung nach 6 bis 12 Wochen. Bei einer Patientin trat eine prolongierte Schwellung auf. Die klinischen Ergebnisse waren vergleichbar mit publizierten Serien mit Stahl- oder Titanimplantaten. Diskussion: Biodegradierbare Mg-Implantate stellen eine Alternative zur Osteosynthese bei distalen metatarsale Osteotomien dar. Aktuell existieren nur kurzbis mittelfristige Ergebnisse, so dass für eine endgültige Beurteilung längerfristige Beobachtungszeiträume und größere Patientenkollektive notwendig bleiben. This is the first larger study analyzing the use of magnesium-based screws for fixation of modified Chevron osteotomies in hallux valgus surgery. 44 patients (45 feet) were included in this prospective study. A modified Chevron osteotomy was performed on every patient and a magnesium screw used for fixation. The mean clinical follow up was 21.4 weeks. The mean age of the patients was 45.5 years. 40 patients could be provided with the implant, in 4 patients the surgeon decided to change to a standard metallic implant. The AOFAS, FAAM and pain NRS-scale improved markedly. The hallux valgus angle, intermetatarsal angle and sesamoid position improved significantly. Seven patients showed dorsal subluxation, rotation or medial shifting of the metatarsal heads within the first three months. One of these patients was revised, in all others the findings were considered clinically not significant or the patients refused revision. This study shows the feasibility of using magnesium screws in Hallux valgus-surgery. Surgeons starting with the use of these implants should be aware of the proper handling of these implants and should know about corrosion effects during healing and its radiographic appearance. Background: For the treatment of hallux valgus commonly distal metatarsal osteotomies are performed. Persistent problems due to the hardware and the necessity of hardware removal has led to the development of absorbable implants. To overcome the limitations of formerly used materials for biodegradable implants, recently magnesium has been introduced as a novel implant material. This is the first study showing mid-term clinical and radiological (MRI) data after using magnesium implants for fixation of distal metatarsal osteotomies. Material and methods: 26 patients with symptomatic hallux valgus were included in the study. They were randomly selected to be treated with a magnesium or standard titanium screw for fixation of a modified distal metatarsal osteotomy. The patients had a standardized clinical follow up and MRI investigation 3 years' post-surgery. The clinical tests included the range of motion of the MTP 1, the AOFAS, FAAM and SF-36 scores. Further on the pain was evaluated on a VAS. Results: Eight patients of the magnesium group and 6 of the titanium group had a full clinical and MRI follow up 3 years postoperatively. One patient was lost to follow-up. All other patients could be interviewed, but denied full study participation. There was a significant improvement for all tested clinical scores (AOFAS, SF-36, FAAM, Pain-NRS) from pre-to postoperative investigation, but no statistically relevant difference between the groups. Magnesium implants showed significantly less artifacts in the MRI, no implant related cysts were found and the implant was under degradation three years postoperatively. Conclusion: In this study, bioabsorbable magnesium implants showed comparable clinical results to titanium standard implants 3 years after distal modified metatarsal osteotomy and were more suitable for radiologic analysis. Background: Chevron osteotomies are one of the most common treatment options for Hallux valgus. Different degradable materials have been proposed for fixation, to avoid later hardware removal. This is the first larger series, describing the use of a novel Mg-based metallic biodegradable screw for the fixation of Chevron Osteotomies. Material and methods: 44 (45 feet) patients with Hallux valgus deformity were included in this prospective study. In all patients a modified Chevron Osteotomie was done. In all but 4 patients (5 feet) the osteotomie was fixed using a Herbert-type Mg-based screw. Clincial and radiological analysis were shedulded preoperative, 6, 12 weeks and 1 year postoperative. Results: The AOFAS (71–78.5; p = 0.71), FAAM-ADL (76.2– 98.3; p = 0.052), FAAM-Sport (57.2–95.5 (p = 0.03) and painNRS-scale (3.7–0.3; p = 0.096) all showed an improvement. The hallux valgus angle (25.1–10.3; p < 0.0001), intermetatarsal angle (12.8–7.4; p < 0.0001) and sesamoid position (2.3–1.0; p < 0.0001) improved significantly. Radiolucencies could be seen around the implants in all but one after 6 weeks and in 78% after 12 weeks. In seven patients there was some dorsal subluxation, rotation or medial shifting of the metatarsal heads within the first three month. One patient underwent revision. The first degradable implant made of a magnesium alloy, a compression screw, was launched to the clinical market in March 2013. Many different complex considerations are required for the marketing authorization of degradable implant materials. This review gives an overview of existing and proposed standards for implant testing for marketing approval. Furthermore, different common in vitro and in vivo testing methods are discussed. In some cases, animal tests are inevitable to investigate the biological safety of a novel medical material. The choice of an appropriate animal model is as important as subsequent histological examination. Furthermore, this review focuses on the results of various mechanical tests to investigate the stability of implants for temporary use. All the above aspects are examined in the context of development and testing of magnesium-based biomaterials and their progress them from bench to bedside. A brief history of the first market launch of a magnesium-based degradable implant is given. The first degradable implant made of a magnesium alloy, a compression screw, was launched to the clinical market in March 2013. Many different complex considerations are required for the marketing authorization of degradable implant materials. This review gives an overview of existing and proposed standards for implant testing for marketing approval. Furthermore, different common in vitro and in vivo testing methods are discussed. In some cases, animal tests are inevitable to investigate the biological safety of a novel medical material. The choice of an appropriate animal model is as important as subsequent histological examination. Further, this review focuses on the results of various mechanical tests to investigate the stability of implants for temporary use. All the above aspects are examined in the context of development and testing of magnesium-based biomaterials and their progress them from bench to bedside. A brief history of the first market launch of a magnesium-based degradable implant is given. Degrading metal alloys are a new class of implant materials suitable for bone surgery. The aim of this study was to investigate the degradation mechanism at the bone–implant interface of different degrading magnesium alloys in bone and to determine their effect on the surrounding bone. Sample rods of four different magnesium alloys and a degradable polymer as a control were implanted intramedullary into the femora of guinea pigs. After 6 and 18 weeks, uncalcified sections were generated for histomorphologic analysis. The bone–implant interface was characterized in uncalcified sections by scanning electron microscopy (SEM), element mapping and X-ray diffraction. Results showed that metallic implants made of magnesium alloys degrade in vivo depending on the composition of the alloying elements. While the corrosion layer of all magnesium alloys accumulated with biological calcium phosphates, the corrosion layer was in direct contact with the surrounding bone. The results further showed high mineral apposition rates and an increased bone mass around the magnesium rods, while no bone was induced in the surrounding soft tissue. From the results of this study, there is a strong rationale that in this research model, high magnesium ion concentration could lead to bone cell activation. Introduction: Tibial spine avulsion fractures are mostly a paediatric injury which appropriate treatment is currently debated in literature. The choice between conservative and surgical treatment is based on the radiographic classification of Meyers-McKeever. The most diffused surgical techniques involve either internal fixation devices (screws) or bone tunnels fixation with resorbable sutures. Today, a third option is represented by resorbable magnesium screws which could combine the best features of the two classical systems. Objective of this study is to investigate the efficacy of these new devices in the surgical treatment of tibial spine avulsions. Materials and Methods: Since 2014 we have seen seven patients with tibial eminence fracture. Patients underwent clinical and radiological examination (MRI, CT scan) before surgery. Only 3 patients that presented with a grade III or IV lesion were treated surgically with internal fixation with magnesium resorbable screws. In post-operative follow-up, functional recovery was evaluated at 1, 2, 4, 6 and 12 months, clinically and by X-ray. Lysholm and IKDC scores were submitted at 1, 2, 6 and 12 months. MRI was repeated at 6 and 12 months. Results: All three surgical patients showed progressive clinical and functional improvement during the follow-up period. The first case showed a quicker overall recovery rate, which might be due to the lower grade of the lesion. Radiographs and MRI evaluation showed regular healing of the injury. The devices appeared completely resorbed at the 6 months follow-up and replaced by newly formed bone at the 12 months follow-up. Conclusion: The treatment of tibial spine avulsion fractures with arthroscopic reduction and internal fixation (ARIF) technique by magnesium resorbable screws seems to result in an excellent functional recovery without complications related to fixation devices, which were completely resorbed after 6 months and replaced by newly formed bone after 12 months. This new method could be considered as an alternative option to classic techniques by non resorbable fixation devices or bone tunnel fixation. Further studies are needed in order to evaluate the efficacy of these new devices in a wider group of patients. By utilising its rapid corrosion reaction and controlling its degradation process through Zn and Mn alloying, purification and anodization, chemically active magnesium can be developed into a biodegradable biocompatible implant material with a specific biodegradation process and tolerable hydrogen evolution rate, which may replace current problematic biodegradable polymers in applications. The purpose of this paper is to provide a succinct but nevertheless complete mechanistic overview of the various types of magnesium corrosion. The understanding of the corrosion processes of magnesium alloys builds upon our understanding of the corrosion of pure magnesium. This provides an understanding of the types of corrosion exhibited by magnesium alloys, and also of the environmental factors of most importance. This deep understanding is required as a foundation if we are to produce magnesium alloys much more resistant to corrosion than the present alloys. Much has already been achieved, but there is vast scope for improvement. This present analysis can provide a foundation and a theoretical framework for further, much needed research. There is still vast scope both for better fundamental understanding of corrosion processes, engineering usage of magnesium, and also on the corrosion protection of magnesium alloys in service. The clinical application of degradable orthopedic magnesium implants is a tangible vision in medical science. This interdisciplinary review discusses many different aspects of magnesium alloys comprising the manufacturing process and the latest research. We present the challenges of the manufacturing process of magnesium implants with the risk of contamination with impurities and its effect on corrosion. Furthermore, this paper provides a summary of the current examination methods used in in vitro and in vivo research of magnesium alloys. The influence of various parameters (most importantly the effect of the corrosive media) in in vitro studies and an overview about the current in vivo research is given. Biodegradable magnesium-based implants are currently being developed for use in orthopedic applications. The aim of this study was to investigate the acute, subacute, and chronic local effects on bone tissue as well as the systemic reactions to a magnesium-based (MgYREZr-alloy) screw containing rare earth elements. The upper part of the screw was implanted into the marrow cavity of the left femora of 15 adult rabbits (New Zealand White), and animals were euthanized 1 week, 12 weeks, and 52 weeks postoperatively. Blood samples were analyzed at set times, and radiographic examinations were performed to evaluate gas formation. There were no significant increased changes in blood values compared to normal levels. Histological examination revealed moderate bone formation with direct implant contact without a fibrous capsule. Histopathological evaluation of lung, liver, intestine, kidneys, pancreas, and spleen tissue samples showed no abnormalities. In summary, our data indicate that these magnesium-based screws containing rare earth elements have good biocompatibility and osteoconductivity without acute, subacute, or chronic toxicity. Purpose: Nondegradable steel-and titanium-based implants are commonly used in orthopedic surgery. Although they provide maximal stability, they are also associated with interference on imaging modalities, may induce stress shielding, and additional explantation procedures may be necessary. Alternatively, degradable polymer implants are mechanically weaker and induce foreign body reactions. Degradable magnesium-based stents are currently being investigated in clinical trials for use in cardiovascular medicine. The magnesium alloy MgYREZr demonstrates good biocompatibility and osteoconductive properties. The aim of this prospective, randomized, clinical pilot trial was to determine if magnesium-based MgYREZr screws are equivalent to standard titanium screws for fixation during chevron osteotomy in patients with a mild hallux valgus. Methods: Patients (n=26) were randomly assigned to undergo osteosynthesis using either titanium or degradable magnesium based implants of the same design. The 6 month follow-up period included clinical, laboratory, and radiographic assessments. Results: No significant differences were found in terms of the American Orthopaedic Foot and Ankle Society (AOFAS) score for hallux, visual analog scale for pain assessment, or range of motion (ROM) of the first metatarsophalangeal joint (MTPJ). No foreign body reactions, osteolysis, or systemic inflammatory reactions were detected. The groups were not significantly different in terms of radiographic or laboratory results. Conclusion: The radiographic and clinical results of this prospective controlled study demonstrate that degradable magnesium-based screws are equivalent to titanium screws for the treatment of mild hallux valgus deformities. It is difficult to fix fractures of the condylar head of the mandible. Several techniques have been described which show satisfactory outcomes,but stability can be questionable, and some can cause irritation of the soft tissues. We describe a technique and first results of treating suchfractures with resorbable magnesium-based headless bone screws (Magnezix®2.7 mm CS; Syntellix AG, Hanover, Germany). 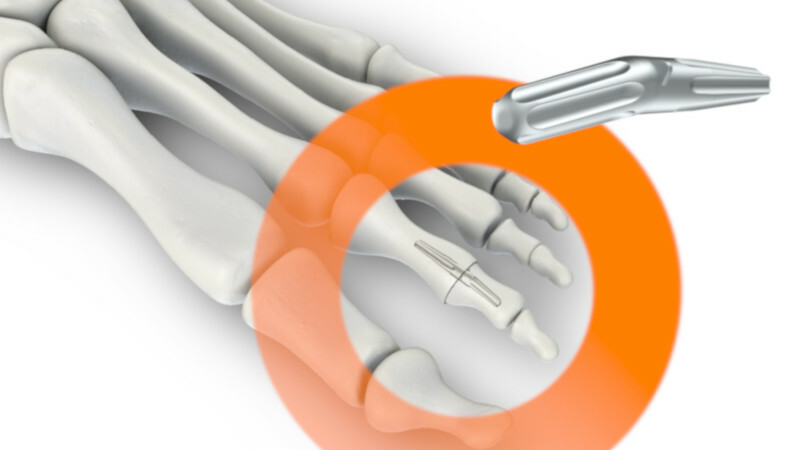 Background: Various implants, for example K-wires, screws, plates or staples, have been introduced for the stabilisation of corrective osteotomies in hallux valgus surgery. To provide high initial stability and to avoid subsequent implant removal, a novel biodegradable magnesium screw (MAGNEZIX® CS, Syntellix AG, Hanover, Germany) has been developed and approved for clinical use. Methods: Between October 2014 and June 2016, magnesium screws were used in 100 patients with a symptomatic hallux valgus deformity for the fixation of Chevron and Youngswick osteotomies. The results were compared to a retrospective cohort of 100 patients, in which titanium screws were applied to stabilize the osteotomies in a comparable manner. All follow-up data was collected retrospectively. Results: Both cohorts showed no differences concerning the age of patients, comorbidities, number of corrected toes and duration of surgery. The median clinical follow up was 12.2 weeks (magnesium) and 11.7 weeks (titanium), respectively. No difference was found between the magnesium screws and the titanium screws in respect to prolonged wound healing or deep infection. One patient complained about a prominent screw head in the titanium group and one screw fracture was noticed in the magnesium group most probably due to early full weight bearing. All patients but four could start full weight bearing in normal shoes at six weeks. Conclusion: Early results of 100 cases of biodegradable magnesium screws in hallux valgus surgery show non-inferior results concerning clinical outcome and complications compared to titanium alloy screws. To avoid implant removal, while keeping high initial stability, magnesium screws are an excellent option in hallux valgus surgery. Magnesium alloys are currently subject to much research for use in biodegradable implant applications. The challenge in this field of material development comprises the design of an alloy that provides adequate mechanical and corrosion properties combined with an excellent biocompatibility. While there are many approaches in current literature only one Mgbased application shows the potential to hit the market. MAGNEZIX Compression Screws are the world’s first approved/CE-certified magnesium-based implants designed for use in biodegradable osteosyntheses applications in humans. Therefore, this paper focusses on challenges and current clinical results achieved by means of degradable compression screws. Insights into the screws’ process chain and approval processes are given. As these innovative screws have already been on the market for 2 years long-term results based on their use in surgery are discussed. Owing to their mechanical properties, metallic materials present a promising solution in the field of resorbable implants. The magnesium metabolism in humans differs depending on its introduction. The natural, oral administration of magnesium via, for example, food, essentially leads to an intracellular enrichment of Mg2+. In contrast, introducing magnesium-rich substances or implants into the tissue results in a different decomposition behavior. Here, exposing magnesium to artificial body electrolytes resulted in the formation of the following products: magnesium hydroxide, magnesium oxide, and magnesium chloride, as well as calcium and magnesium apatites. Moreover, it can be assumed that Mg2+, OH− ions, and gaseous hydrogen are also present and result from the reaction for magnesium in an aqueous environment. With the aid of physiological metabolic processes, the organism succeeds in either excreting the above mentioned products or integrating them into the natural metabolic process. Only a burst release of these products is to be considered a problem. A multitude of general tissue effects and responses from the Mg's degradation products is considered within this review, which is not targeting specific implant classes. Furthermore, common alloying elements of magnesium and their hazardous potential in vivo are taken into account. Orthopedic implants containing biodegradable magnesium have been used for fracture repair with considerable efficacy; however, the underlying mechanisms by which these implants improve fracture healing remain elusive. Here we show the formation of abundant new bone at peripheral cortical sites after intramedullary implantation of a pin containing ultrapure magnesium into the intact distal femur in rats. This response was accompanied by substantial increases of neuronal calcitonin gene-related polypeptide-α (CGRP) in both the peripheral cortex of the femur and the ipsilateral dorsal root ganglia (DRG). Surgical removal of the periosteum, capsaicin denervation of sensory nerves or knockdown in vivo of the CGRP-receptor-encoding genes Calcrl or Ramp1substantially reversed the magnesium-induced osteogenesis that we observed in this model. Overexpression of these genes, however, enhanced magnesium-induced osteogenesis. We further found that an elevation of extracellular magnesium induces magnesium transporter 1 (MAGT1)-dependent and transient receptor potential cation channel, subfamily M, member 7 (TRPM7)-dependent magnesium entry, as well as an increase in intracellular adenosine triphosphate (ATP) and the accumulation of terminal synaptic vesicles in isolated rat DRG neurons. In isolated rat periosteum-derived stem cells, CGRP induces CALCRL- and RAMP1-dependent activation of cAMP-responsive element binding protein 1 (CREB1) and SP7 (also known as osterix), and thus enhances osteogenic differentiation of these stem cells. Furthermore, we have developed an innovative, magnesium-containing intramedullary nail that facilitates femur fracture repair in rats with ovariectomy-induced osteoporosis. Taken together, these findings reveal a previously undefined role of magnesium in promoting CGRP-mediated osteogenic differentiation, which suggests the therapeutic potential of this ion in orthopedics. Background: The primary aim of this pilot study was to prospectively evaluate outcomes of the MgYREZr bioabsorbable screw in the setting of hallux valgus corrective surgery. The secondary aim was to compare the outcomes against a control group treated with conventional titanium screws. Methods: A consecutive series of patients with hallux valgus deformity (n = 24) underwent forefoot reconstruction surgery with a scarf osteotomy to the first metatarsal using MgYREZr screws. Functional scores, radiological outcomes, and complication profile were recorded over 12 months. Results were compared against a control group of patients (n = 69) using titanium alloy screws. Results: At 1-year post-operative, both functional and radiological outcomes showed significant improvements. Compared to the control group, there was no significant difference in functional outcomes, yet radiological improvements were significantly better in the control group. Conclusion: The MgYREZr bioabsorbable screw is a suitable alternative to titanium alloy screws for hallux valgus corrective surgery. Fragestellung: Derzeit werden zur operativen Fixierung des rupturierten vorderen Kreuzbandes Interferenzschrauben aus Titan oder bioresorbierbaren Polymeren eingesetzt. Permanente Implantate aus Stahl oder Titan bedingen in der Regel eine zweite Operation zur Entfernung des Osteosynthesematerials. Daher werden hier vorrangig resorbierbare Implantate eingesetzt. Die Nachteile bei bioresorbierbaren Polymeren sind häufig Fremdkörperreaktionen und Entzündungen der Synovialmembran, welche den Erfolg der Operation erheblich verringern. Magnesiumlegierungen sind eine vielversprechende Alternative, da diese einerseits resorbierbar sind und als biokompatibel gelten und ihnen außerdem eine osteokonduktive Wirkung zugeschrieben wird. Ziel dieser Studie war es, die Auswirkungen der Korrosionsprodukte der eingesetzten Magnesiumlegierung (MAGNEZIX®, Syntellix AG) auf die Synovia und die Synovialmembran des Kniegelenks zu untersuchen. Aufbauend auf den Ergebnissen dieses Versuches wird in einer Folgestudie die Testung mit einer Interferenzschraube erfolgen. Methodik: Als Versuchstiere dienten 36 weibliche Kaninchen der Rasse New Zealand White Rabbit. Die Tiere wurden in 3 Gruppen mit unterschiedlichen Implantationszeiten (1, 4, 12 Wochen) unterteilt, mit jeweils 12 Tieren in jeder Gruppe. Bei jedem Tier wurde in den linken Femur interkondylär ein Pin implantiert. 6 Tiere jeder Gruppe bekamen einen Magnesiumpin implantiert und die anderen 6 Tiere einen Titanpin als Kontrollgruppe. Jeweils prä- und postoperativ wurden Röntgenaufnahmen angefertigt und Blutproben entnommen. Am Ende der Versuchsdauer wurden die Tiere euthanasiert und beide Kniegelenke punktiert. Außerdem wurden Gewebeproben von der Synovialmembran des operierten und des kontralateralen Kniegelenks entnommen und histopathologisch untersucht. Zur Beurteilung der Synovia-Punktate wurde ein semiquantitativer Score angewandt. Die Proben der Synovialmembran wurden ebenfalls mittels semiquantitativem Synovialitis-Score nach Krenn ausgewertet. Ergebnisse und Schlussfolgerung: Zu keinem Zeitpunkt wurde röntgenologisch sowie klinisch eine Gasentwicklung beobachtet. Die Blutwerte von Kreatinin, Harnstoff, AST und ALT lagen im Referenzbereich. Sowohl in der Magnesiumgruppe als auch in der Titangruppe traten histopathologisch vergleichbare Veränderungen der Synovialmembran auf, welche sich in einer geringgradigen Verbreiterung der synovialen Deckzellschicht manifestierten. Histopathologie, Blutanalyse, klinische und röntgenologische Untersuchungen zeigten keine pathologischen Veränderungen, weder in der Kontrollgruppe noch in der Magnesiumgruppe. Die zu Beginn vorliegende geringgradige Synovialitis trat bei beiden Gruppen in gleichem Maße auf und ist auf den traumatischen Eingriff zurückzuführen. Die vorliegenden Ergebnisse zeigen eine gute Biokompatibilität und Verträglichkeit der eingesetzten Magnesiumlegierung in Bezug auf die Synovialmembran. Zielsetzung: Biodegradierbare Implantate aus Magnesiumverbindungen gehören zu den aktuellsten Entwicklungen in der muskuloskelettalen Chirurgie. Diese Studie untersucht das Bildverhalten von Magnesiumimplantaten in verschiedenen bildgebenden Modalitäten im Vergleich zu konventionellen Titanimplantaten. Material und Methodik: Eine CE-zertifizierte Magnesium Herbert Schraube (MAGNEZIX®) und eine Titanschraube mit den gleichen Dimensionen (3,2 × 20 mm) wurden in den folgenden Modalitäten untersucht: Konventionelle Radiografie (CR), Multidetektor Computertomografie (MDCT), hochauflösende Flachdetektor Computertomografie (FPCT) und Magnetresonanztomografie (MRT). Die Schrauben wurden sowohl in vitro als auch nach Implantation in eine frische Hühnertibia untersucht. Die Auswertung der Bilddaten erfolgte quantitativ bezüglich Bildqualität sowie Ausmaß und Intensität der Artefakte. Ergebnisse: In allen bildgebenden Modalitäten hatten die Artefakte der Magnesiumschraube ein kleineres Ausmaß und waren weniger beeinträchtigend im Vergleich zur Titanschraube (Mittelwert der Differenz der Artefaktgröße im CR: 0,7 mm, MDCT: 6,2 mm, FPCT: 5,9 mm und MRT: 4,73 mm; p < 0,05). In der multiplanaren Reformation und 3D Rekonstruktion der MDCT und FPCT war die Magnesiumschraube der Titanschraube ebenfalls überlegen. Die Metall-Knochen Grenze konnte deutlich besser unterschieden werden. Schlussfolgerungen: Magnesiumimplantate generieren signifikant weniger Artefakte in den gängigen bildgebenden Verfahren im Vergleich zu konventionellen Titanimplantaten und sind daher gut für post-operative Kontrollen geeignet. Background: Magnesium alloys have recently been rediscovered as biodegradable implants in musculoskeletal surgery. This study is an ex-vivo trial to evaluate the imaging characteristics of magnesium implants in different imaging modalities as compared to conventional metallic implants. Methods: A CE-approved magnesium Herbert screw (MAGNEZIX®) and a titanium screw of the same dimensions (3.2x20 mm) were imaged using different modalities: digital radiography (DX), multidetector computed tomography (MDCT), high resolution flat panel CT (FPCT) and magnetic resonance imaging (MRI). The screws were scanned invitro and after implantation in a fresh chicken tibia in order to simulate surrounding bone and soft tissue.The images were quantitatively evaluated with respect to the overall image quality and the extent and intensity of artifacts. Results: In all modalities, the artifacts generated by the magnesium screw had a lesser extent and were less severe as compared to the titanium screw (mean difference of artifact size of solo scanned screws in DX: 0.7 mm, MDCT: 6.2 mm, FPCT: 5.9 mm and MRI: 4.73 mm; p < 0.05). In MDCT and FPCT multiplanar reformations and 3D reconstructions were superior as compared with the titanium screw and the metal-bone interface after implanting the screws in chicken cadavers was more clearly depicted. While the artifacts of the titanium screw could be effectively reduced using metal-artifact reduction sequences in MRI (WARP, mean reduction of 2.5 mm, p < 0.05), there was no significant difference for the magnesium screw. Conclusions: Magnesium implants generate significantly less artifacts in common imaging modalities (DX, MDCT, FPCT and MRI) as compared with conventional titanium implants and therefore may facilitate post-operative follow-up. Degradable magnesium alloys are promising biomaterials for orthopedic applications. The aim of this study was to evaluate the potential effects on both the synovial membrane (synovialis) and the synovial fluid (synovia) of the degradation products of a MgYREZr-pin implanted in the intercondylar femoral notch in a rabbit model. Thirty-six animals were randomized into two groups (MgYREZr or Ti6Al4V alloy) of 18 animals each. Each group was then divided into three subgroups with implantation periods of 1, 4, and 12 weeks, with six animals in each subgroup. The initial inflammatory reaction caused by the surgical trauma declined after 12 weeks of implantation, and elucidated a progressive recovery of the synovial membrane. Compared with control Ti6Al4V pins, there were no significant differences between the groups. However, after 12 weeks, recovery of the synovial membrane was more advanced in the titanium group, in which 92% showed no signs of synovitis, than in the magnesium group. A cytotoxicity test with L929 cells and human osteoblasts (HOB) was also conducted, according to EN ISO 10993-5/12, and no toxic leachable products were observed after 24 h of incubation. In conclusion, the MgYREZr alloy seems to be a suitable material for intra-articular degradable implants. Purpose: Degradable magnesium implants have received increasing interest in recent years. In anterior cruciate ligament reconstruction surgery, the well-known osteoconductive effects of biodegradable magnesium alloys may be useful. The aim of this study was to examine whether interference screws made of MgYREZr have comparable biomechanical properties to commonly used biodegradable screws and whether a different thread on the magnesium screw has an influence on the fixation strength. Methods: Five magnesium (MgYREZr-alloy) screws were tested per group. Three different groups with variable thread designs (Designs 1, 2, and 3) were produced and compared with the commercially available bioabsorbable Bioacryl rapid polylactic-co-glycolic acid screw Milagro®. In vitro testing was performed in synthetic bone using artificial ligament fixed by an interference screw. The constructs were pretensioned with a constant load of 60 N for 30 s followed by 500 cycles between 60 N and 250 N at 1 Hz. Construct displacements between the 1st and 20th and the 21st and 500th cycles were recorded. After a 30 s break, a maximum load to failure test was performed at 1 mm/s measuring the maximum pull-out force. Results: The maximum loads to failure of all three types of magnesium interference screws (Design 1: 1,092 ± 133.7 N; Design 2: 1,014 ± 103.3 N; Design 3: 1,001 ± 124 N) were significantly larger than that of the bioabsorbable Milagro® interference screw (786.8 ± 62.5 N) (p < 0.05). However, the greatest maximum load was found with magnesium screw Design 1. Except for a significant difference between Designs 1 and 2, there were no further significant differences among the four groups in displacement after the 20th cycle. Conclusions: Biomechanical testing showed higher pullout forces for magnesium compared with a commercial polymer screw. Hence, they suggest better stability and are a potential alternative. The thread geometry does not significantly influence the stability provided by the magnesium implants. This study shows the first promising results of a degradable material, which may be a clinical alternative in the future. Objective: The purpose of this retrospective study was to evaluate the outcome of medial malleolar fractures treated with magnesium (MgYREZr) bioabsorbable compression screw fixation. Materials and methods: Eleven patients with a medial malleolar fracture (either isolated or accompanied by bimalleolar or trimalleolar ankle fractures) who were treated with magnesium bioabsorbable compression screws between 2015 and 2016 in our hospital were retrospectively evaluated. Patients were monitored with a mean follow-up of 17.3 ± 4.1 months (range 12–24 months). The mechanism of injury was ground level falls in all patients. All fractures were classified as closed fractures. American Orthopedic Foot and Ankle Society’s (AOFAS) scale and the visual analog scale (VAS) were used to evaluate the clinical results during the final follow-up. Bone union and a possible loss of reduction were assessed with serial radiographs. Potential complications including revision surgery and infection were recorded and reported. Results: There were 11 patients (4 female, 7 male) with a mean age of 41 ± 21.9 years (range 20–78 years). Six patients had Herscovici type C and five patients had type B fractures. 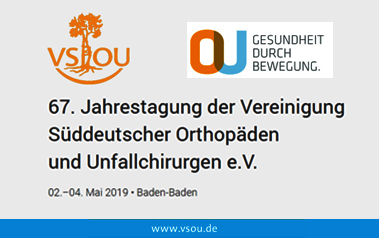 At the final follow-up the mean AOFAS score was 94.9 ± 5.7 points (range 85–100 points) and the mean VAS score was 0.4 ± 1.2 points (range 0–4 points). Radiographic solid union was achieved in all cases. No complications were seen during the follow-up. No patients required implant removal or revision surgery. Conclusion: This is the first study that investigates the use of bioabsorbable magnesium compression screws in medial malleolar fractures. The results of this study revealed that fixation of medial malleolar fractures with bioabsorbable magnesium compression screws provides adequate fixation with good functional results. Level of evidence:Level IV, therapeutic, retrospective case series. This is a case series of carpal fracture fixations and intercarpal fusions using the Magnezix® absorbable metallic screw. The Magnezix® screw is an absorbable metallic bone screw that is replaced with “bone-like” tissue on full absorption. The screw is made of a magnesium alloy and as such is able to be metabolised by the body. The screw is cannulated and comes in varying sizes. This implant has been used in Ireland for 18 months now but has been widely used in Europe. Six cases in total are presented using the 3.2 mm Magnezix® screw + three scaphoid fixations (two acute and one revision case) and three inter-carpal fusions (one middle column fusion, one trapezio-trapezoid fusion and a third CMCJ fusion). One screw was used in the acute scaphoid fixations+ two screws were used for the revision fixation of scaphoid with bone grafting + two screws for the first two inter-carpal fusion cases and one screw of the third CMCJ fusion. All procedures were carried out by the author. Follow-up of between 6 months and 18 months is available for all patients. One patient has temporarily been lost to follow-up (an acute scaphoid fixation – partial healing at six weeks was noted on imaging). Of the remaining five cases, four were clinically united on follow-up and imaging showed progression of healing at six weeks and twelve weeks in the remainder. Gas formation and lucency is evident on all post-operative films and is recognised in the use of this implant. No systemic complications are reported. One failure of fixation occurred due to technical issues in the middle column fusion case. This case series presents favourable follow-up series of this “new” absorbable magnesium alloy screw with potential benefits that can be utilised in hand and wrist surgery. The screw shows further promising results in the presented cases other than the failure for technical issues. The screw has added benefits of not needing to be removed also and could show advantageous properties if the “bone-like tissue” produced on full absorption can add strength to fusion masses. Further longer term follow-up is required. MAGNEZIX® (Syntellix AG, Hanover, Germany) is a biodegradable magnesium-based alloy (MgYREZr) which is currently used to manufacture bioabsorbable compression screws. To date, there are very few studies reporting on a limited number of elective foot surgeries using this innovative implant. This case report describes the application of this screw for osteochondral fracture fixation at the humeral capitulum next to a loose radial head prosthesis, which was revised at the same time. The clinical course was uneventful. Degradation of the magnesium alloy did not interfere with fracture healing. Showing an excellent clinical result and free range-of-motion, the contour of the implant was still visible in a one-year follow-up. MAGNEZIX® CS (Syntellix AG, Hanover, Germany) is a bioabsorbable compression screw made of a magnesium alloy (MgYREZr). Currently there are only two clinical studies reporting on a limited number of elective patients who received this screw in a hallux valgus operation. We applied MAGNEZIX® CS for fixation of distal fibular fracture in a trauma patient who had sustained a bimalleolar fracture type AO 44-B2.3. Clinical course was uneventful, fracture healing occurred within three months. Follow-up X-rays showed a radiolucent area around the implant for some months, yet this radiolucent area had disappeared in the 17-months follow-up X-ray. In recent years, much progress has been made on the development of biodegradable magnesium alloys as “smart” implants in cardiovascular and orthopedic applications. Mg-based alloys as biodegradable implants have outstanding advantages over Fe-based and Zn-based ones. However, the extensive applications of Mg-based alloys are still inhibited mainly by their high degradation rates and consequent loss in mechanical integrity. Consequently, extensive studies have been conducted to develop Mg-based alloys with superior mechanical and corrosion performance. This review focuses on the following topics: (i) the design criteria of biodegradable materials; (ii) alloy development strategy; (iii) in vitro performances of currently developed Mg-based alloys; and (iv) in vivo performances of currently developed Mg-based implants, especially Mg-based alloys under clinical trials.